It's been a couple of months since I last posted anything here. This is down to a mixture of laziness and minor health problems. Over the past two weeks, I've gone slightly overboard with new music purchases so I now feel the need to share some of them with you. I have a pile of albums from Rowland S. Howard, At Swim Two Birds, Porcupine Tree and a few others waiting to be dealt with and I'll try to post a quick summary of some of these over the next few days, but I'm bound to run out of time. I should probably start with Richard Hawley, as this is the most high-profile release of the week. 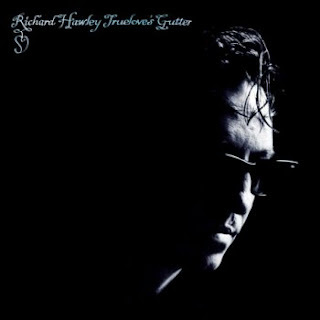 I guess I don't need to give too much background information on Richard Hawley, and many of you will have heard at least one of his previous releases, unlike some of the more obscure artists I review here. Hawley had stated that the title of his last album, "Lady's Bridge", as well as being a location in Sheffield, referred to crossing a bridge in his personal life and his career. The music on that album displayed a definite change from earlier releases; he had discarded most of the blues and rockabilly elements and moved firmly into an area that had been hinted at previously, a world inhabited by the likes of Gene Pitney and The Everly Brothers. I remember being surprised at how much I enjoyed "Lady's Bridge", as the sound was reminiscent of something my mother would have listened to in her youth, and would probably still enjoy now. Back in the 1990s, when Hawley was a member of Britpop also-rans The Longpigs, it would have been hard to imagine him singing ballads in this style, or me and my fellow DJs at the time getting excited about it. Hawley is now clearly on that side of the bridge, and on "Truelove's Gutter" he has developed the sound into something much darker. The instrumentation is slightly sparser than on "Lady's Bridge" and he appears to have been more experimental in his choice of instruments. The credits list such items as cristal baschet, glass harmonica, musical saw and waterphone. I'm not entirely sure what all of these things are, but I'm guessing they are responsible for the atmospheric textures found on many of the songs. Lyrically, it is also his bleakest work to date. Prior to its release, Hawley explained that the songs are based on the trials and tribulations of his own life. It could almost be described as a concept album, with each track seemingly narrated by the same character: a man reflecting on a broken relationship, blaming himself and pleading with his lover to return. I'm not sure how much of this actually comes from Hawley's life. As far as I'm aware, he has been happily married for some time, so maybe there are people from his distant past now listening to this album and wondering if it's about them. The real beauty of Hawley's lyrics is the way he writes about real life in a way that makes it easy for any listener to relate to the songs. There are at least two songs here that seem to describe very clearly events from my own life. This was obviously quite unsettling the first time I played the album, but ultimately makes it a very rewarding listen. It somehow doesn't seem right for me to go into explicit detail about which songs struck a personal chord with me, so instead I will suggest that readers try to find connections with their own lives in Hawley's songs. One thing that struck me as odd before I had even listened to the record is the way the lyrics are presented on the sleeve. Each song is displayed on a handwritten scroll, gradually becoming blurred towards the bottom of the page and partially obscured by old coins, pieces of jewellery, seashells etc. Initially I was irritated by this, as it made the lyrics hard to read, but it soon became apparent that this should just be treated as part of the cover art and not an actual lyric sheet. Hawley's voice is so clear that every word he sings can be heard without the need for printed lyrics. There are very few current artists about whom you could say that, so this is yet another reminder of the music of the 1950s. I'm sure all of us have had our taste in music criticised by our parents because "you can't hear the words". I'm not sure if this is Hawley's best album, as many reviews have suggested. Lyrically he has certainly outshone previous efforts. However, the sound is perhaps a little too consistent, to the extent that when "Soldier On" explodes into its climactic ending, it comes as a relief just to have a little variety. This song displays the kind of drama that Nick Cave often injects into his ballads, and Hawley should consider incorporating more of this into his next album. I am currently asking myself whether I need to see this album played live. Hawley is playing what is bound to be an expensive gig at the Town Hall in a couple of weeks. I saw him on his last tour and it was an enjoyable show but can I justify forking out to see him again? Psych-guitarist James Blackshaw is playing at another venue on the same night, probably for a quarter of the price, so I'm considering seeing him instead. Are any regular readers going to either of these gigs? I'm not sure if "Truelove's Gutter" will be so meaningful when heard in a large venue; it works better alone with the curtains drawn and a glass of whisky. Good post. RH always resonates with me due to our both being from Sheffield. He reminds me of home, and imparts something of the place in all his records, and not just the album titles either. I have only heard this online, and not yet had the chance to buy it, but love it already. You describe his work really eloquently Steve. Not too late for a career in music journalism...? A fabulous review - and you've got it exactly right about Richard Hawley's power, makes you wonder if he's done a Robert Johnson and made a deal with the devil, his ability to show your your soul is uncanny. Thanks!